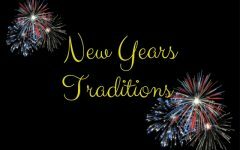 New Year’s resolutions are a tradition for a reason. New Year’s Day marks the end of the holiday season and begins a new year full of possibilities and new beginnings. This is the perfect time to incorporate new habits into daily life as people begin to move back into their regular schedules. January first is also a specific date to begin resolutions. One of the biggest things many people struggle with when trying to improve themselves is simply getting underway. Having a concrete date to begin new habits allows for better preparation and lets people carve out time in advance to invest into resolutions. Making resolutions requires self-reflection and an open mind, and by observing and learning from the past year, people can find the best ways to improve their lifestyle. According to U.S. News and World Report, 80 percent of New Year’s resolutions fail by the second week of February— and that’s if you’re lucky. The biggest problem with New Year’s resolutions isn’t the type of resolutions people make, but the number of resolutions they make. 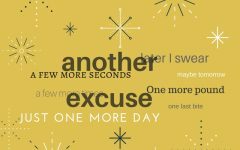 Rather than making 10 resolutions that become forgotten within two weeks’ time, focus on one or two productive, meaningful, and beneficial resolutions. Some of the most common New Year’s resolutions include losing weight, stopping smoking, and saving money. To be able to keep any kind of resolution, a certain kind of mindset is required. Instead of making a resolution to stop doing something, such as a bad habit, make a resolution to do something instead of that habit. Making New Year’s resolutions is a great way to take a fresh new perspective both internally and externally, as well as begin a new period of life with a different mindset.Making small changes in the way resolutions are viewed will make a huge difference in their effectiveness and the way they change lives. Are you watching the NBA playoffs?